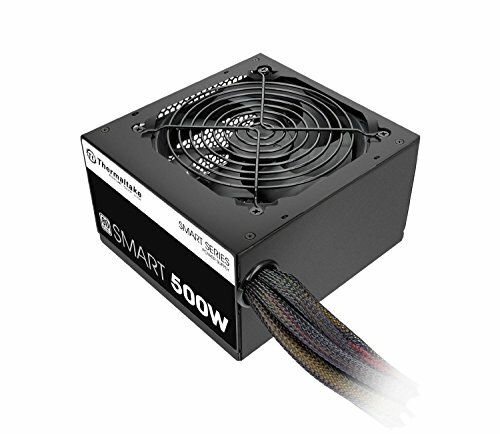 Similar to others, I've always wanted to build a gaming PC. It has just taken me 20 years and the sale of a couple gaming consoles to make it happen. And I'm very glad I did! My main goal for this build was that it had to be a smaller form factor so that I could have it in the living room without issue. I didn't want an enormous tower, and even mid-towers are too big for the space I have available. 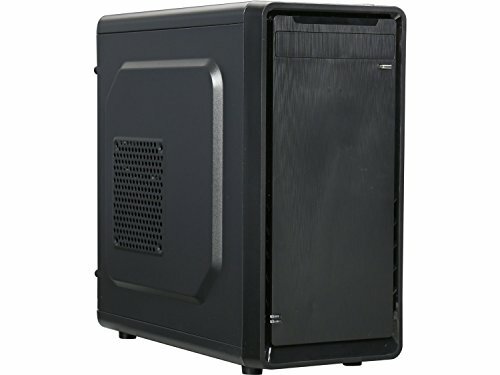 So I went on a hunt for a MicroATX mini tower case and happened to find the Rosewill SRM-01 on sale at Amazon for $15 with free shipping. Next, I did my research by reading articles and comparing all of my options. Then I started visiting the UserBenchmark website to try different configurations to see what sort of performance I could get out of the variety of components I had available in my price range. I decided on the Ryzen 5 1400 for two reasons. One was price vs performance. The second reason I chose the 5 1400 was because I was worried the newer Ryzen models would require a BIOS update in order to be compatible. That worried me because I'm no computer genius and the task of building a PC seemed daunting enough already. I didn't want to worry about it, so it made the Ryzen 5 1400 an easy decision. I was looking for a GPU at a time when so many were out of stock or elevated in price due to lack of supply. I just happened on the PowerColor Red Dragon RX 570 on NewEgg and decided to dive at it. It was $160, and I felt that it was a great price in comparison to other GPU's I could buy at the time. Next, I picked up the GSkill Aegis DDR4-2666 for $55. It worked out nicely because it's a decent price and it's the max RAM speed my Mobo can run without OC'ing. Which brings me to the Mobo. I chose it based on its low price. There's no other way to put it. 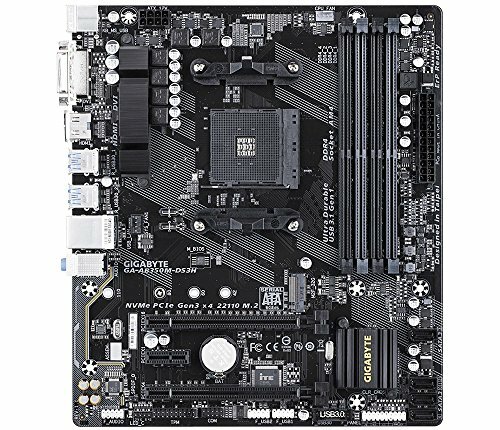 Gigabyte is a good brand and the price was perfectly low. I did want a better Mobo, but it just wasn't in my budget to go better. I've seen people build PC's, and I've watched my son (14) build PC's. The biggest lesson I learned from watching is that you need to have the right tools, have the reference material handy (motherboard diagrams, etc), and have the patience to take your time and do a good job. I built this with my son, and I did the majority of the work. This case, while small, is NOT difficult to build in. If you take your time and run your wires in a systematic manner, you'll be fine. We started from the bottom of the motherboard and connected cables and wiring from there up, organizing all cables and wires while we went. This drove my son nuts at times, but he respected that I wanted to make things look nice. Overall, I have a mantra: "I want to do something once and in order to do that I need to do it right." I didn't care how long it took me. I just wanted everything perfect the first time. First, we installed the power supply. Then we mounted the CPU (w/Wraith fan) onto the motherboard, and mounted the motherboard to the inside of the base. Then we installed the RAM. From there, we dealt with all cables and wiring BEFORE we installed the GPU. We did this because we knew the GPU would take up space and in a case as small as the SRM-01, we needed to keep things open for cabling and organizing. A cool feature of the Rosewill SRM-01 is the hard drive swing arm that's in the case. When you open the side of the case, there's a rectangular "gate or door" right there. You can unscrew to screws and the door swings open to the outside. This door has two spots for installing HDD's or SSD's. The mounting is simple, and it looks cool as hell. We installed two SSD's. One of them I already owned (a 120gb Samsung that I use for just Windows 10 Pro). After installing all the cables and wires, I tied things up with twist ties to keep things organized to looking neat. We then moved onto the GPU, which was a snap (literally, SNAP) into place, and then installed the power line to it. From there we put the sides back on and hooked the PC up to a monitor and did a ritualistic "Dance of Hope" praying everything went smoothly. And it did. It fired right up. I installed Windows 10 Pro and got an activation key off eBay for $3.99. Please, don't buy a full version of Windows for $100 plus dollars. There are people who have keys available that will save you loads of money. In terms of performance, I'm finding I can play ALL games on High to Ultra settings with this set up. I have a 4k monitor and I can run 4k at medium to high settings, too. I'm quite pleased with this. And with all of my deals on parts and buying a Windows key for $3.99, I paid $533 and change (includes tax and shipping fees) to build this. Which is crazy, right? I mean, an Xbox One X will cost that after tax. Yet, the Xbox One X has NOTHING on this build. @mdowd, thank you! Let me ask, what would your GPU run at in high demand? I haven't seen mine go beyond 80 degrees, but I've not had long game sessions because I've been too busy. At stock, it would run at around 83, and with a 100Mhz overclock on top of the factory 1300 Mhz clock, it could run up to 87, without even touching voltage. It's also worth noting that I use an ultrawide 1080p monitor, which isn't really what the card is for, so it was really at it's limit at all times. It is, however, a great 1080p card. I eventually moved onto a 1060 6gb, the larger frame buffer is great for anything past 1080p gaming, and Nvidia cards are more efficient (thus cooler) than their AMD counterparts. Mine is hooked up to my 4k TV lol I have a "Game" setting on the TV, but it's all I got right now. I'd def love to eventually snag a good monitor. So far, I'm not really noticing any issues but then again I've not really had a real hard test. The only thing I would have liked to have done is gotten the Rx 580 but it wasn't in the budget at all. That extra RAM in the GPU would make me happy. One of the greatest budget builds I have even seen. Also, once your kids grow older, make sure to let them have the fun of building their own pc! My son is 13 and we have been working on a i7-8700k with a 1070 ti build for him to use for studies/gaming/rendering. The only regret was, I should have started off small because this is also our first build. Getting some parts to build a PC for 200 dollars is what I should have done, because now we are experiencing many problems. Thanks, DevanshDixit! I appreciate it. My son (14) built his PC about 6 months ago and he kept at me to build one together. I finally caved in when my PS Plus subscription had to be renewed lol I decided that it was time to dive in. My son is an AMD fan. He has the Ryzen 7 and an RX 580; however, he's itching so bad for that same card - the 1070ti. He earns money locally mowing and his birthday is coming up, so he'll get there eventually. What problems are you experiencing with your build? it's def a high end build. I'm envious that you have a Micro Center near you. I'm an hour outside of Orlando, and there's nothing near me for PC parts stores. It definitely makes sense to go big with a GPU, especially if interests exist outside of just gaming! Let me ask, how do you know if your GPU is bottlenecking your CPU? Thanks Flawless! I'm nowhere near either of those numbers for either my CPU or GPU. Easier way is to use one of the monitoring software's to check it while you are gaming. Such is MSI Afterburner and NZXT CAM. They will show you CPU and GPU usage and, if CPU is bottlenecking then CPU usage will be 100% and GPU will be below, just like CultFlawless mentioned. Small bottleneck like 2-5% is nothing, but everything below 90% of GPU usage is bottleneck for sure. Also, you must know that GPU's will mostly work on 98-99% and rarely 100%. haha I do have Minecraft downloaded for my younger two, but I've not played myself. I'm def not normal in terms of storage. I usually play one to three games for long periods of time and just keep those games downloaded and bounce back and forth. I can play the same couple of games for months. That's why I wasn't concerned about storage.... BUT I do have a few memory cards to clean up out of my camera, etc. Those are going to eat up storage fast... so I think you are spot on in needing to increase storage soon. Very happy for you! Love to hear when begginers build there own pc and learn! Yeah, when I got the Mobo in the mail, I noticed a big ol' sticker on it that mentioned it could run 2nd gen. I was bummed. I would have spent a little more for 2nd gen, but I'm okay with things for now. Looks great! I'm actually in the process of building my first PC as well, with the same CPU and GPU pair as yours. I'm really bummed out that my budget won't let me get the RX 580 8GB like I originally wanted, but looking at your replies it seems like it's not that bad of a video card. Have you tried running CS:GO with this system? I haven't tried. Reading posts and watching a few YT videos, I see people with similar builds pulling 150+fps. Good luck with your build! Let me know how it goes! Nice build for your budget. Maybe you should've gotten deal channel memory. Thanks, Nick! I'm not all that pc tech savvy, but what is the benefit of dual channel memory? Its faster is really all. Its able to "do more" because work loads are across two ram sticks instead of one, therefore things aren't getting clogged up. Wow, really? 2x4gb of RAM is able to handle things more smoothly than just on 8gb stick? It makes sense. I never would have thought of that. Thanks, Ethan, I appreciate it!